Great location! Few miles from town is country living. 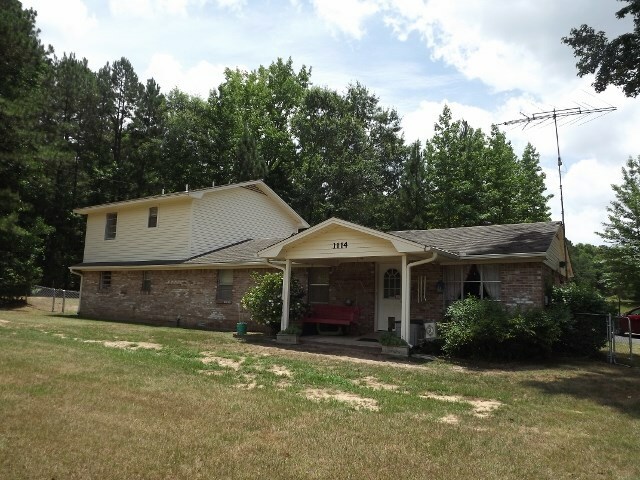 2 story home with 3 beds/ 2.5 baths on 1.5 acres with good well water. Dining and living are open. Home has all new flooring downstairs, fresh paint as well. Fairly new appliances and plumbing redone as well. Large walk-in shower in spacious bath downstairs. Bedrooms are nice size with closets for storage. Upstairs has 2 bedrooms with a bonus loft area. Home is equipped with a generator that powers the whole house when electric is out. Security system. Washer and dryer are in the garage with half bath and this area is heated and cooled. Could be converted to a second living area or 4th bedroom. Large fenced front yard for pets, and deck on the back for relaxing. There are 2 septic tanks and new field lines for the upstairs bath.